The Samsung Galaxy S3 white Verizon variant is the highest-selling model of the device in the second hand market. The smartphone normally costs interested buyers around $395 who wish to save a good amount of money on an unlocked version. The second highest selling variant of the Galaxy S3 in the second hand market is the white AT&T version. That model sells for around $407. This data was compiled by Movulate.com and also points out that the white variant of the S3 has outsold the Pebble Blue version by 24 percent and that the white model is worth 3.2 percent more than the pebble blue. The Garnet Red version happens to be the lowest selling variant, but is worth the second highest amount of money at $428 following T-Mobile's Marble White version, which is at $429. Sprint's Marble White version is worth the least out of the bunch as it normally sells for around $330, almost $100 less than T-Mobile's white model. In other Samsung news, a Galaxy S4-like smartphone showed up at the FCC earlier this week. This device, named the Galaxy Grand, features a 5-inch display that's rumored for the Galaxy S4. However, the other specifications show that this is definitely not the next-generation flagship handset for Samsung. This Galaxy Grand smartphone display only comes with 480 x 800 resolution compared to the rumored 1080p screen expected for the Galaxy S4. Other specifications revealed by the FCC documents for the Galaxy Grand include an Exynos 4412 quad-core 1.4GHz processor, Android 4.1.1, JellyBean, NFC (near-field communications), Wi-Fi 802.11 a/b/g/n connectivity, 2100mAh battery, 4G LTE, and an appearance similar to the Galaxy S3. 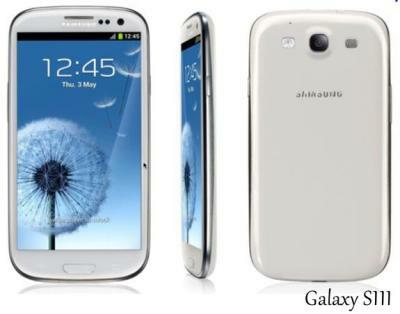 The Galaxy Grand is expected to launch in Korea sometime in the near future and the Galaxy S4 will be released in 2013.